Do you need instant answers to your burning dating questions? Are you getting ready for a hot date, or stumped by his or her text messages? 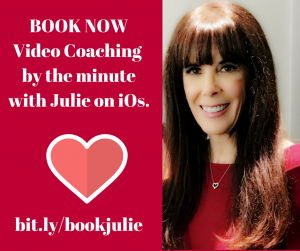 Now, for iOs users, you can book a session with online dating expert and award-winning dating coach Julie Spira by the minute. Click here to download the software on your mobile phone and connect with Julie in an audio or video call for dating advice.